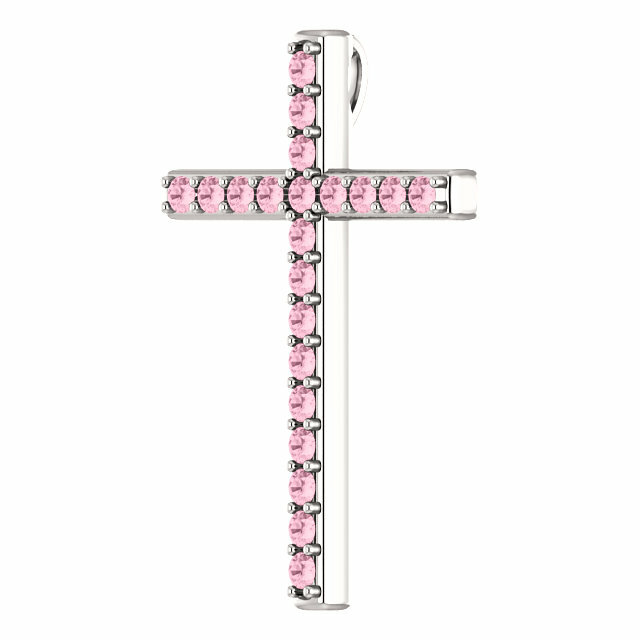 The beautiful, brilliant color of this Swarovski pink topaz cross pendant set in .925 sterling silver is a reminder to love one another, as the Bible commands. "A new commandment I give unto you, That ye love one another; as I have loved you, that ye also love one another" (John 13:34). 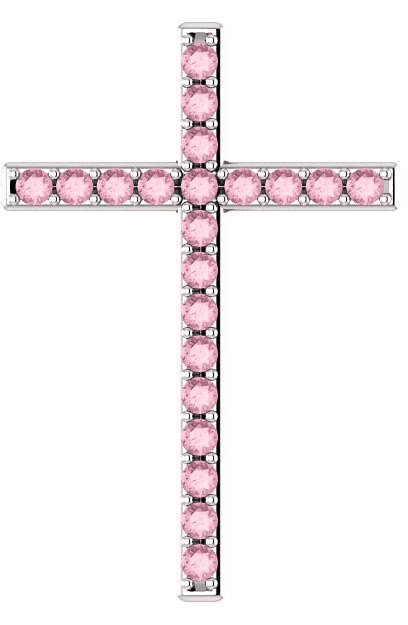 The gemstone cross necklace is set with 21 high-rated "AA" quality pink topaz gems that are 2mm in size each. 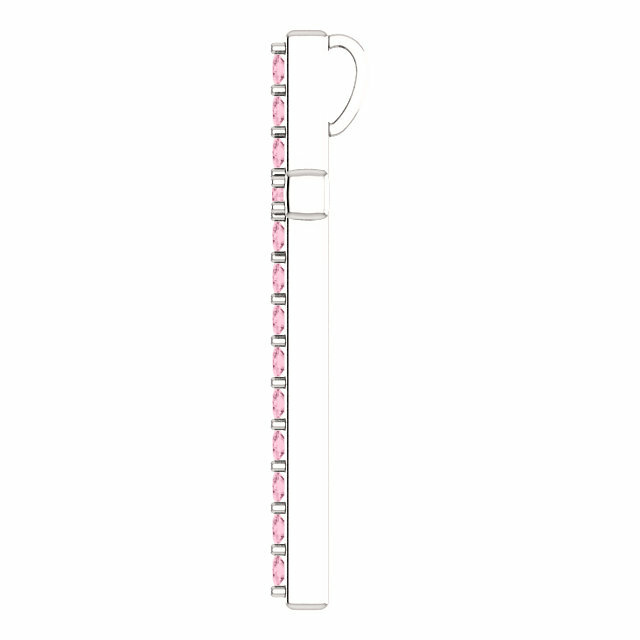 The cross measures 1 1/4" tall x 0.85" wide and includes a hidden hoop/bale which is out of sight when worn. Add a matching sterling silver cable chain necklace or wear the cross with one of your own necklaces. We guarantee our Love One Another Baby Pink Topaz Silver Cross Pendant to be high quality, authentic jewelry, as described above.